evader dt « Big Squid RC – RC Car and Truck News, Reviews, Videos, and More! You are browsing the "evader dt" tag archive. Exclusive: More Pictures of the Duratrax VW Bug! 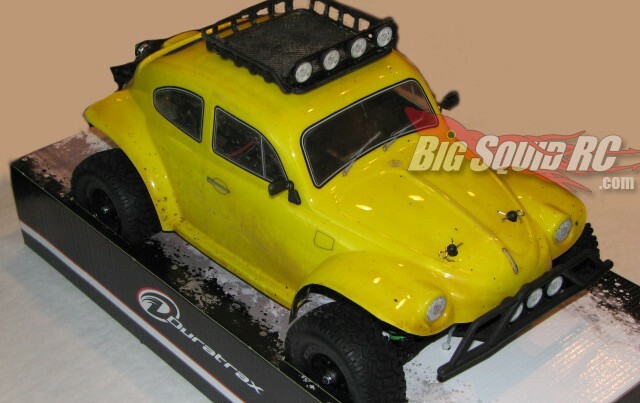 Exclusive: DuraTrax 1/10 VW Baja Bug!! Just posted to our RC Reviews section is the Duratrax Evader DT Review! After driving around the lot, then getting in some laps at the track, we gave this truck the worst beating we could dish out! Did is survive? Click Here to find out! Duratrax Evader DT Unboxing Pictures! We recently reported on the new Duratrax Evader DT truck, well, now we have a video to go along with it!Sure looks like it can take a beating! Check out the Duratrax web site for more info!